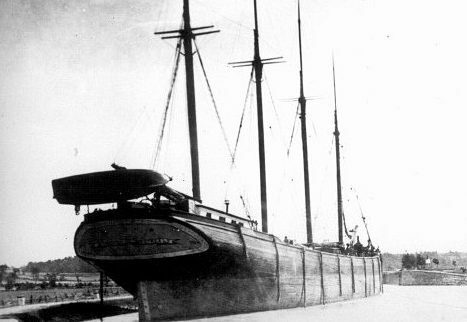 Built and launched in 1890 by the Montreal Transportation Company, the Minnedosa was a schooner barge with a length of 250 feet and a beam of 36 feet. With her size, she was proudly the largest Canadian vessel in service on the Great Lakes at the time. The Minnedosa served her career as a consort barge, hauling primarily loads of grain across the Great Lakes to Kingston, Ontario. She served dutifully for a decade and a half until she ultimately met her fate in October of 1905. While on a journey hauling 75,000 bushels of wheat across the lakes to Kingston, she came loose from her tow and disappeared in a storm with all of her crew members aboard. She lay undiscovered until 1993 when divers came upon her intact at the bottom in 210 feet of water 16 miles from Harbor Beach. Today, she is an amazing wreck to explore for divers equipped and trained to venture into the technical diving realm. We visit the Minnedosa from Harbor Beach on the Go-Between.